Venus always loves to try new foods, and anything with gravy is generally a huge hit. I was so excited when Chewy sent her some Wellness TruFood Tasty Pairings to try out as a supplement to her dry food. 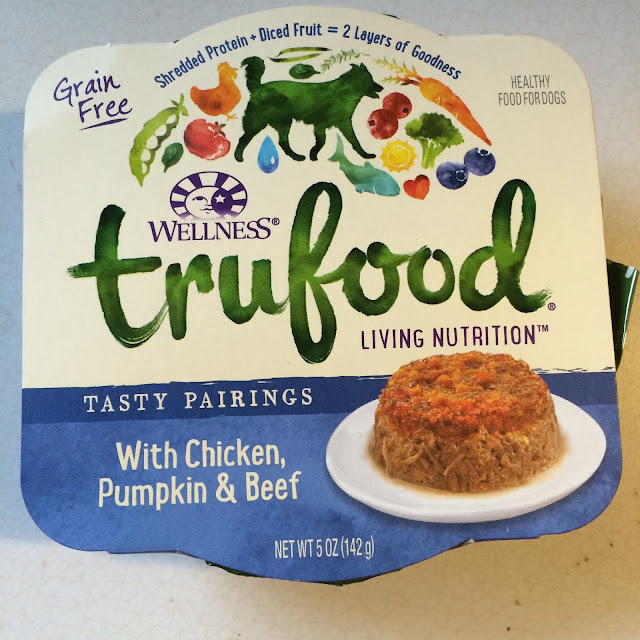 Wellness is a brand our family knows and trusts when it comes to pet food and treats. 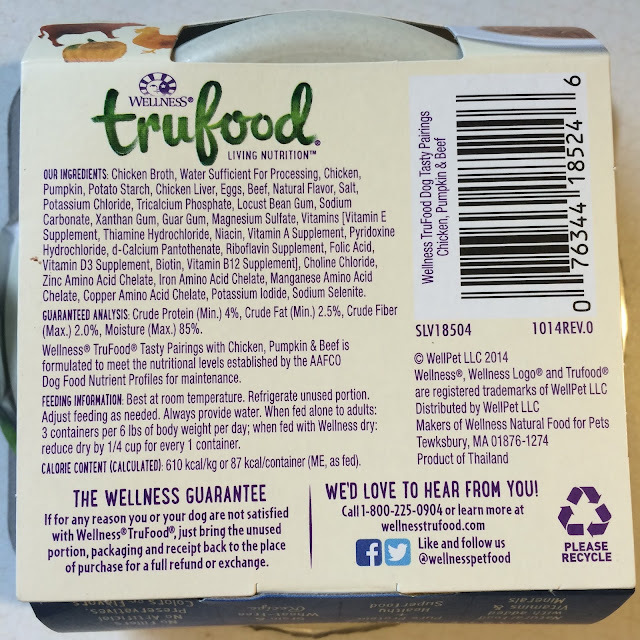 They have gone through a lot of changes over the years (as a brand) but the quality of their dry and canned foods have been consistent for us, so I felt confident trying this out with Venus. The food itself smells like real meat, and has a nice amount of the gravy that Venus loves. There are also soft chunks of pumpkin mixed in that adds some nice digestive benefit. You can find these Tasty Pairings by Wellness on Chewy.